Small - $94.99 Only 2 left! 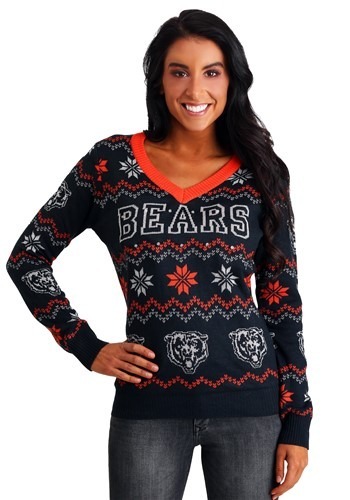 X-Large - $94.99 Only 2 left! 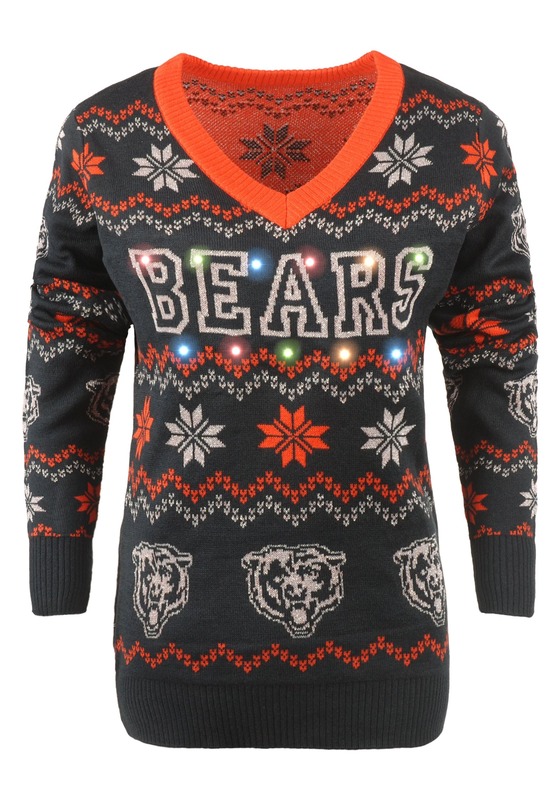 This is a Chicago Bears Women's Light Up V-Neck Bluetooth Ugly Christmas Sweater.